Walled Towns as ideal destinations for student field study trips. Student field study trips can be of great value to any walled town that can attract them. An undergraduate field study trip abroad may take up to 50 students and three members of staff for a week – almost always out of season. Even excluding the air transport (or the overnight international rail costs), just local transport, the hotel accommodation and food and of course the extra eating and drinking can add up to about €30.000 - enough to pay for about 2 people for a year! But study trips can be worth even more to host towns than that only the important money and jobs. When hosted by a walled town, students can both learn very effectively about tourism and urban issues but also, with their lecturers, contribute to the discussion on local issues in the towns themselves. These were among the results, which I put forward at a recent conference in Cambridge (i) as a Research Fellow at University of West of England in Bristol and as Academic Adviser to European Walled Towns. I reminded academics how important the field study trip was, for higher education in tourism. Indeed it is widely thought by both students and academic staff to be the really distinctive element of a tourism degree. Architecture, Heritage Studies and Geography all also normally include field trips. Walled towns are valued by students and their lecturers as compact and often usefully controversial subjects of study. Over a period 25 years I have taken one thousand or more different students from the UK on field study trips. The students have originated in many European Countries, India, China and the Americas. There are about one hundred broadly similar courses across the UK and many more within Europe. 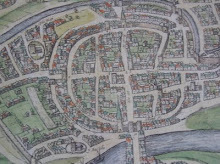 The numbers of students at any one time therefore make a substantial market for walled towns to work with. Tenby, Chepstow, Brecon, Bergues, Alcudia, Pecs, Lucca and especially Piran have all been Member walled towns, when I took students to them. Piran I highlight because, over eleven years I led thirteen field study trips there. 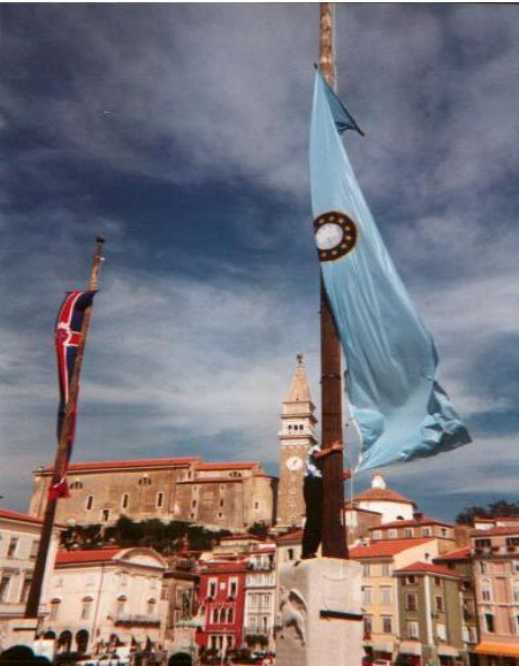 It had and has so many attributes that make for an excellent field study trip both in terms of the variety of tourisms in Piran and its neighbouring resort of Portoroz and as a walled town with all its varied histories and issues. Within little more than two hundred years, it has owed allegiance to Venice, France, Austria-Hungary, Italy, Yugoslavia and is now part of the Euro zone and the Schengen area of the European Union in independent Slovenia. All have left their marks. But above all I returned again and again because of the warm hospitality of the people and the real welcome offered to my students by the Municipality, who even allowed them to present their ideas, half-formed as they may have been, to the Council itself. It helped that the Turistica College, now University of Primorska, was at hand to add their students to our studies (and entertainment) and of course the Municipal Officer Nada Zajc was always at hand to smooth all passages. (No mere thanks can express my debt). The student wrote diaries which I collected (with their permission) over a ten year period and these show what they learnt and how they enjoyed the town and its people, how they interacted and learnt from each other and the from their hosts, probably much more than from me! But they did add me to their Facebook group and five years on we still keep in contact. They say they want a reunion in Piran. ATHE – the Association of Tourism in Higher Education Conference 6th-7th December 2012 “Reinvigorating the Tourism Curriculum” see website for full programme. Papers will be collected for publication in January 2013 and a longer version of this article is in preparation.